^ Island Directory Tables. UN System-Wide Earthwatch Web Site. [10 October 2017]. ^ 2.0 2.1 Population and Annual Growth Rates for The Philippines and Its Regions, Provinces, and Highly Urbanized Cities (PDF). 2010 Census and Housing Population. National Statistics Office. [15 August 2014]. （原始内容 (PDF)存档于28 September 2013）. ^ Census of Population (2015): Highlights of the Philippine Population 2015 Census of Population (Report). PSA. [15 March 2017]. ^ Fruits of peace. [10 October 2017]. ^ Calderon, Justin. Unearthed gem. Inside Investor. 22 April 2013 [29 April 2013]. ^ 6.0 6.1 Koerner, Brendan I. How Islam got to the Philippines. Slate. 28 January 2005 [4 October 2009]. ^ For an in-depth survey of indigenous peoples and forced land seizures in the Phillipines, see  Cultural Survival Quarterly. ^ PSGC Interactive; List of Provinces. Philippine Statistics Authority. [3 April 2016]. （原始内容存档于21 January 2013）. ^ PSGC Interactive; List of Cities. Philippine Statistics Authority. [7 April 2016]. （原始内容存档于29 April 2011）. ^ Boquet, Yves. 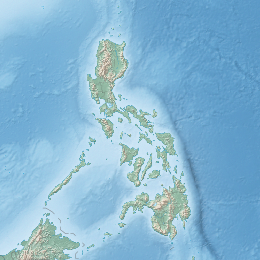 The Philippine Archipelago. Springer. 2017: 16. ISBN 9783319519265. ^ Mindanao Comprised About 24 Percent of the Philippines' Total Population. Philippine Statistics Authority. 8 June 2005. ^ Philippine Statistics Authority. Muslim Population in Mindanao (based on POPCEN 2015. July 26, 2017 [Aug 31, 2018].